Weather You Have Lost Your GM Car Key and Don't Have a Spare, Your Key Is Broken or No Longer Functions or Simply Need a Spare Key, We Can Help Fast! 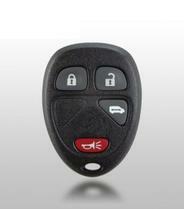 We Make Keys For Cars On Spot For All GM Makes & Models Including, Chip Keys, Fob Keys, Smart Keys and Head Remote Keys. We Fix, Re Key and Replace GM Car Locks and Keys and Have Them In Stock, Including Car Door Lock, Trunk and Ignition Switch. 24/7 Mobile Service, Fast & Reliable Auto Locksmith Services In Las Vegas NV and Surrounding Area. General Motors Company, commonly known as GM, is an American multinational corporation headquartered in Detroit, Michigan, that designs, manufactures, markets and distributes vehicles and vehicle parts and sells financial services. General Motors produces vehicles in 37 countries under thirteen brands Alpheon, Chevrolet, Buick, GMC,Cadillac, Holden, Opel, Vauxhall, Wuling, Baojun, Jie Fang, Daewoo. General Motors holds a 20% stake in IMN, and a 77% stake in GM Korea. 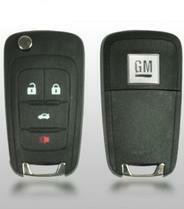 We Provide 24/7 General Motors car locksmith services in Las Vegas NV and surrounding areas. Emergency mobile car locksmith services are available any time, any day including weekends and holidays. 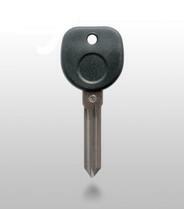 Our GM car locks and keys are from the best brands such as: Ilco, Strattec, Jet, JMA, Keyline, Blue Rocket. All of our products and services come with a 90 day warranty. We are here to help if you have lost your GM car key, need a duplicate car key, have a bent or broken car key or need programming for your GM key. We carry all kind of GM Keys, including; mechanical keys, transponder keys, fob keys, head remote keys, laser cut keys and remotes control. Lost Your Chevy Car Key? Need Buick Key Made? Call Us ! We Can Help. 24/7 lost Acu key replacement, all models Acura keys made onsite fast, Acura keys repair and program Acura chip/ transponder keys. Quick and friendly service. We can fix, replace and install GM car locks, including; car door locks, trunk locks and ignition locks. 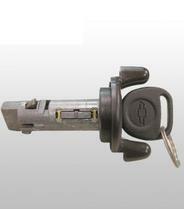 We carry GM car locks (car door lock, trunk lock & ignition lock) for all GM models and have them in stock. Buick Keys - Allure, Century, Enclave, LaCrosse, LeSabre, Lucerne, Park Avenue, Rainier, Reatta, Riviera, Regal, Rendezvous, Road master, Signia, Skylark, Terraza. Cadillac Keys - Allante, Brougham, Fleetwood, Catera, Cimarron, Concourse, CTS, Deville, DTS, Eldorado, Escalade, Seville, SRX, STS, XLR. Chevrolet Keys - Aveo, Beretta, Corsica, Camaro, Cavalier, Cobalt, Corvette, Cruze, Epica, Impala, Lumina, Malibu, Metro, Monte Carlo, Nova, Optra, Prizm, Spectrum, Sprint, Traverse, Volt. Chevrolet Trucks & Vans Keys - Astro Van, Avalanche, Blazer, Colorado, Equinox, Express, FSR, FRR, FTR, HHR, NPR, NRR, NQR, S-10, Silverado, Suburban, Tahoe, Tracker, Trailblazer, Uplander, Venture. GMC Keys - Acadia, Canyon, Denali, Envoy, Jimmy, Safari, Savana, Sierra, Sonoma, Terrain, Yukon. Isuzu - Amigo, Ascender, Axiom, Hombre, i-280, i-290, i-350, Impulse, Oasis, Rodeo, Stylus, Trooper, Vehicross. Pontiac Keys - Aztek, Bonneville, Firebird, Formula, G3, G5, G6, G8, Gran Am, Grand Prix, GTA, GTO, Lemans, Montana, Pursuit, Solstice, Sunfire, Torrent, Trans, Vibe. 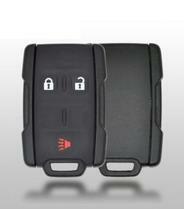 Saturn Keys - Astra, Aura, Ion, L Series, L300, Outlook, Relay, SC, SL, Sky, SW,Vue. 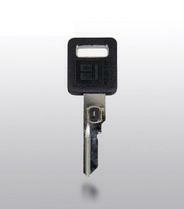 Replacement GM chip / VAT'S keys, usually found on old GM models.